Professional Development Day on Friday, October 19th – No school for students. A recent tragedy in Coquitlam wherein a child committed suicide as a result of bullying on the Internet, has resulted in many people wondering what we should be doing to ensure our children’s safety and to eliminate bullying. The Internet has brought with it much that is positive, but it has also meant that there are those who will use new ideas and developments in unkind, irresponsible and even evil ways. I believe that there are some things that we can do to help protect our children and our communities. First, we can expect that all the people in our community should be kind and respectful. Such people would not deliberately use the Internet in ways that would hurt others. We try to develop the characteristics of kindness, compassion, and respectfulness in our children so that they will not cause hurt either on the Internet or in any other circumstance. Second, it is important that our students be thoughtful about the kind of life they want to live, and the kind of person that they want to be. They must then be guided to learn to behave in ways that match their aspirations. This is the role of parents, grandparents, teachers and mentors. Third, children need to learn to be thoughtful about their actions and sensitive to what might hurt others. I think that we all enjoy jokes, laughter and fun. Sometimes the kinds of adult jokes, teasing and sitcom humour which children are exposed to may be funny for an adult in the right context, but can result in children putting a priority on laughter and fun at the expense of kindness and respect. It is very easy to have a funny, teasing thought, type it out and push “send” before really thinking about the effect on others. Children must be guided to think how their actions and words affect others. Fourth, we can help our children understand when something is wrong and how to deal with a situation where they, or a friend, might experience unkindness or bullying. They need to have trusted parents, teachers and other adults that they can go to for help before a situation escalates. They need to understand that we will treat mistakes as teachable moments and help both victims and perpetrators. That way, children will not be so reluctant to “tattle” on someone else. It is important that the lines of communication are open and that children know we will listen to them. Fifth, adults must take timely action, paying attention, not just to those involved, but also to those who witness bullying. We support the victim, make it clear to perpetrators that unkind behaviour is not acceptable and has consequences. We make sure that witnesses know how we have dealt with this, and witnesses learn how they can help. Witnesses are important in situations where bullying occurs. Children need to be able to develop confidence in themselves to be able to act on what they know to be right. They can refuse to laugh when someone is teased; they can even speak up in someone’s defence. They can also come to trusted adults for help. Adults aware of inappropriate uses of the Internet need to make sure that children who have witnessed inappropriate use also know that it is inappropriate and unacceptable. Sixth, we must remember that parents and school are a team, acting in the best interests of all our students, and the community as a whole. Parents can help the school by letting us know even of small instances so that early intervention can be effective. The school will let parents know if we become aware of a child’s involvement, so that a parent can support the child and help them. Encourage kindness, respect, and self awareness in our students. Help children develop values which are matched by their actions. Teach children to be sensitive to others. Act as a team – parents and school – to deal with all involved. 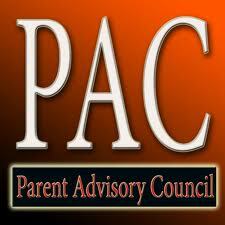 At the PAC meeting on Wednesday night the budget as previously published was passed. Thank you parents for supporting our students through Artist in Residence Programs, technology, various enrichment activities, clubs, classroom funds and so much more. November 7 Photo retake day (for those who missed photo day) Pick up an order form from the office. Only those students with a prepaid order will have their pictures taken.